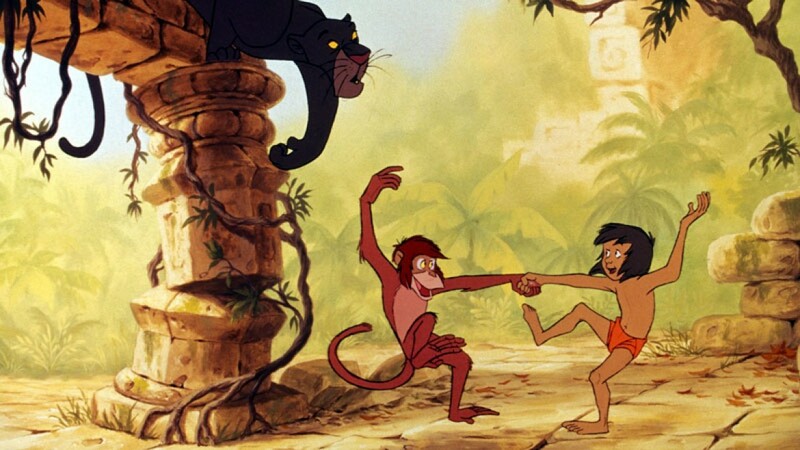 The Jungle Book © DISNEY ALL RIGHTS RESERVED. Traditional animation, also known as cel animation, or hand-drawn animation, is an animation technique where each frame of the film is drawn by hand, and was - until the arrival of computer animation - the dominant form used in cinema. Although advances in technology have resulted in much of the labour of hand-drawn animation being reduced, the technique remains a long and painstaking one. The process begins with producing a series of storyboards to map out what the film will look like. These are then synced with the film's pre-recorded soundtrack to ensure that the animators know precisely when a character is speaking, or bursting into song. Character designers then work on creating model sheets, to ensure there is consistency in terms of appearance and movement across the board, with many different animators involved. Once all this is completed, the animation itself begins! Animators draw sequences of animation on transparent pieces of paper, one frame at a time, each frame having to match the soundtrack exactly to avoid discrepancy (for example a character's mouth moving when not speaking). Meanwhile background artists are busy painting the sets over which each animated sequence will take place, often using watercolours or oil paints. The next big step, after the images have been cleaned and polished, is making them into a film! Each drawing is transferred from paper to a thin, clear sheet of plastic called a cel (short for celluloid). Once a sequence has been loaded onto cels, the photography process begins using special animated cameras. Once every sequence has been photographed, the final film is sent for development and processing. The rise of computer animation has resulted in fewer traditional animated films being produced, yet they remain hugely popular; painstaking labours of love and arguably more romantic than their more modern counterpart. Here are our selection of some of the finest examples. We also have film lists on rotoscoping, 3D/CGI animation, VFX, stop-motion, cut-out animation, and the history of animation. 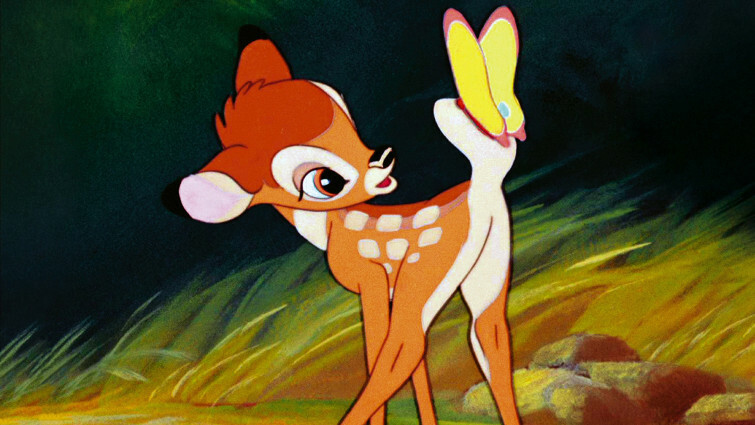 The animals in Bambi are animated in a way that made them appear more lifelike and expressive than anything audiences had seen before, particularly important given the film’s serious themes of hunting and death. Produced in the middle of World War Two, and one of Disney’s early masterpieces, it remains a work of real beauty and aching poignancy. 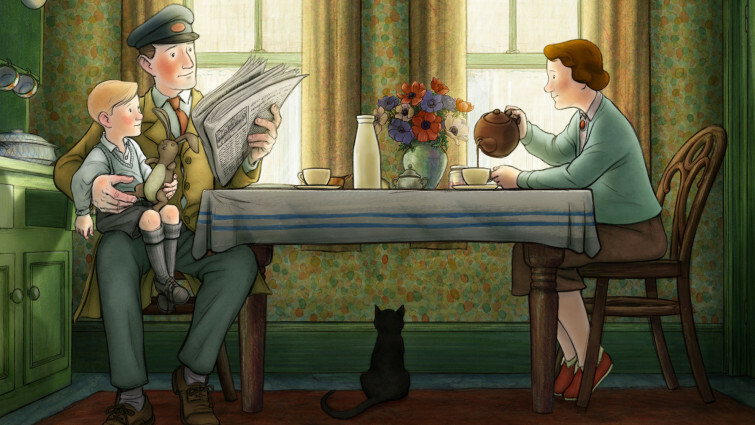 Beautifully animated, but undeniably disturbing and distressing, this British classic has left its mark on generations of children and young people. With its striking watercolour backgrounds and commitment to realistic images of the animals, the film presented nature in a more honest way than had perhaps ever been seen in animation before. 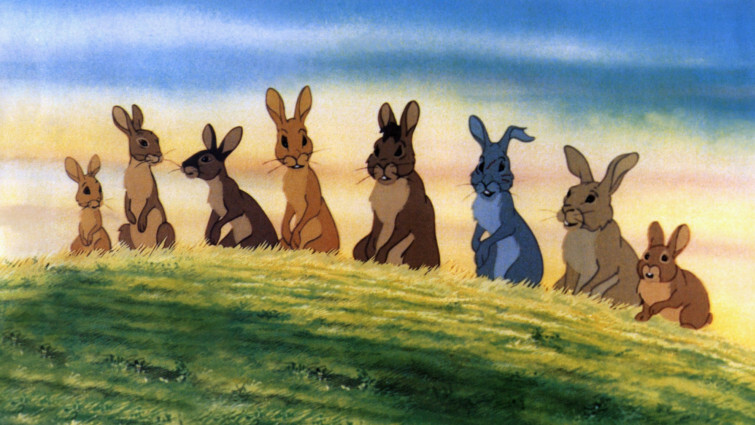 Like many animations, the Disney team studied the behaviour of real animals in order to properly capture their likeness and movements on screen. 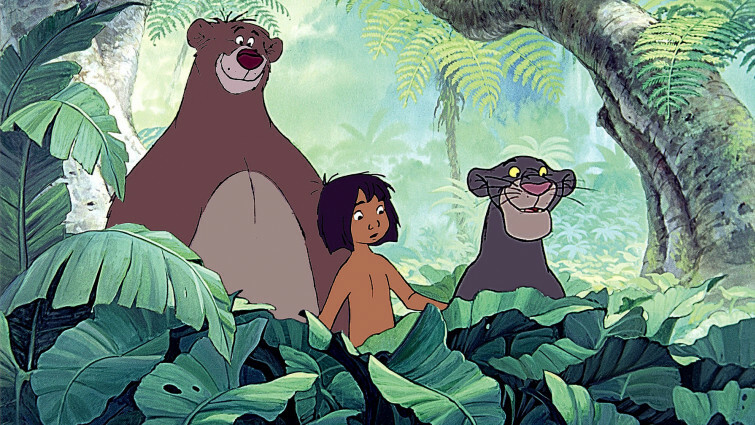 Still one of the most popular animated films of all time, the last film commissioned by Walt Disney is a joyful adventure packed with great songs and quotable lines. 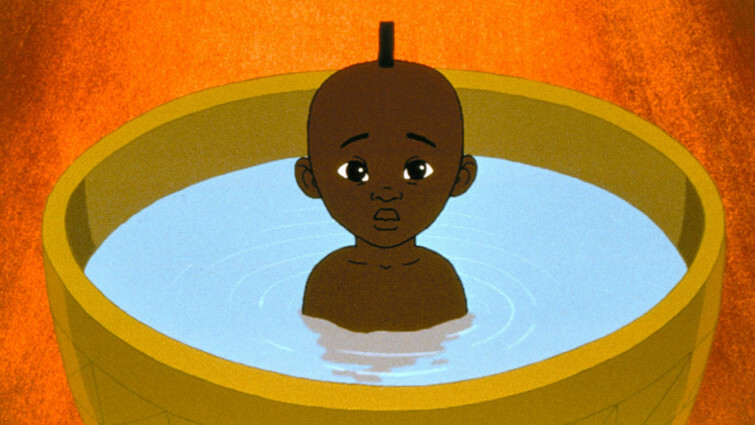 French filmmaker Michel Ocelot has always celebrated traditional animation, never more so than in this interpretation of traditional West African folk tales. The film was so successful, it went on to spawn two equally magical sequels, proving there is still a place for older animation techniques in the modern world. 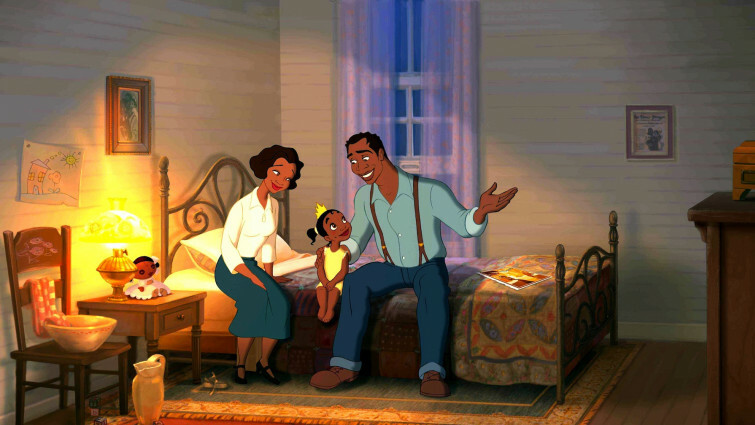 Director Brad Bird has gone on to become one of the most important figures at Pixar, but his breakthrough came with hand-drawn animation and this masterful adaptation of the Ted Hughes story. With its look inspired by iconic American painters of the early 20th century, it is in part a love letter to hand-drawn animation itself, even if the Giant himself is actually CG. 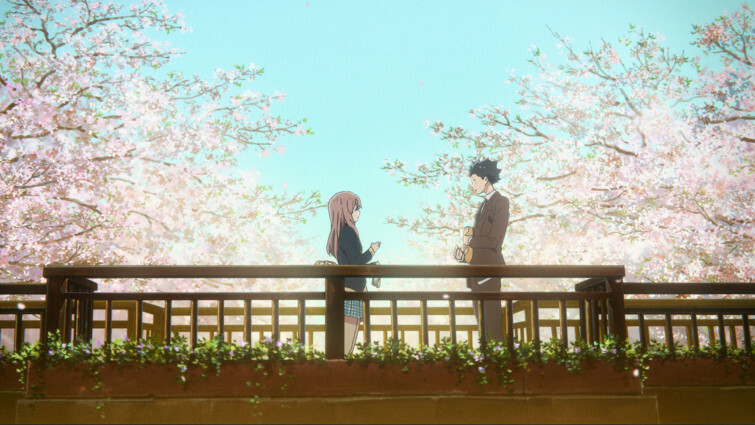 Inspired to make a film for and about ten-year-old girls that wasn’t focused on romantic crushes, this magical film remains the true masterpiece of Hiyao Miyasaki’s remarkable career. The attention to detail in the animation is remarkable, based on storyboards hand-drawn by Miyasaki himself, the story developed organically through this process rather than a traditional script. 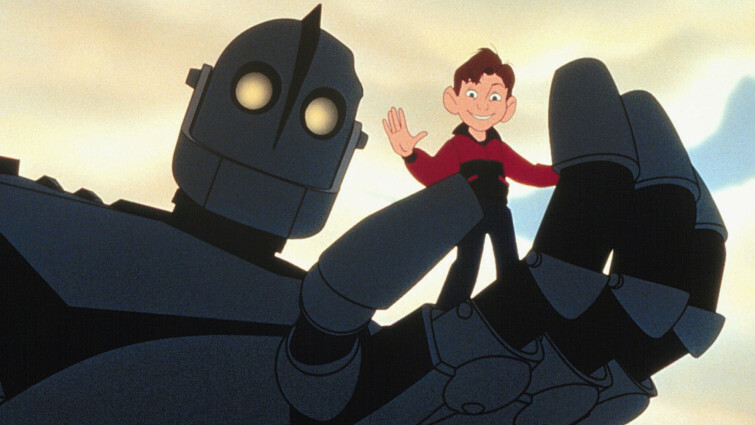 It’s strange to think, given its distinctive style, that this film was not originally planned to be an animation at all, the filmmakers convinced the process would be too long and complicated. Opting to use traditional animated techniques, but only use the colours black and white, the techniques here are actually remarkably sophisticated, but the film itself feels timeless. Taking inspiration from the style of Lady & The Tramp, this film marked a return to Disney using traditional animation to tell stories. In a blend of the old and the new, character animators working on the film used traditional pencil and paper drawings, which were then scanned into computer systems. One of the gentlest, most enchanting animations of recent years, this French film is a beautiful throwback to an earlier time, when hand-drawn animation ruled the roost. 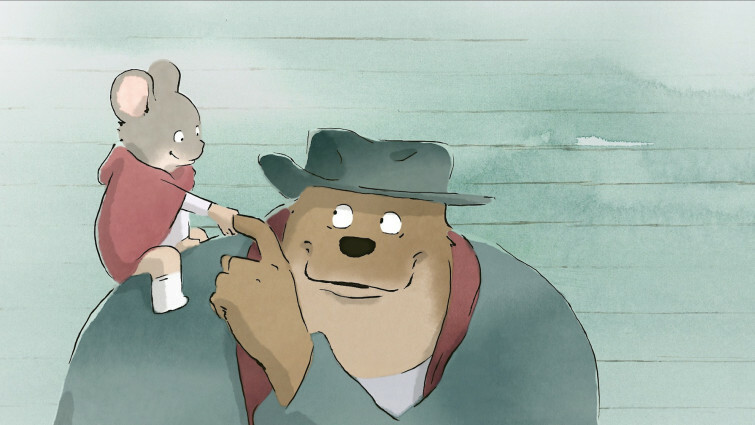 Subtle, satirical, progressive and utterly charming, the tale of an unlikely friendship between a small mouse and a big scary bear on the streets of a French town is not to be missed. A beautifully animated Japanese fantasy from the makers of Spirited Away, about a Princess sent to Earth from the Moon. 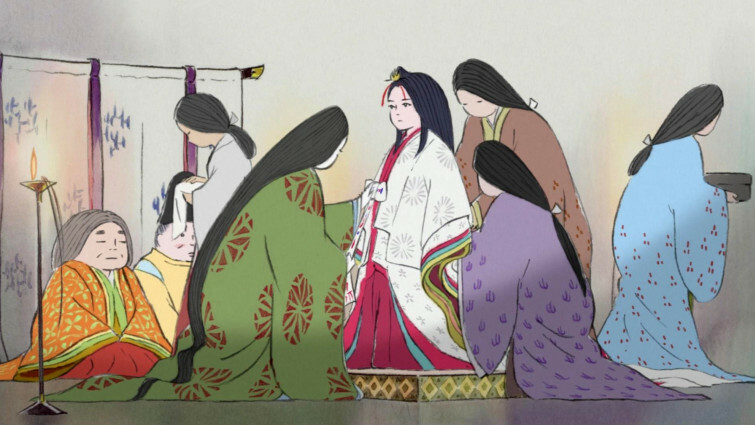 Directed by Studio Ghibli co-founder Isao Takahata, this is an exquisitely animated story and a labour of love for its creator, who painstakingly worked on the film for eight years. Such is the delicacy and sensitivity, it’s impossible to conceive of the same film being produced using computers. 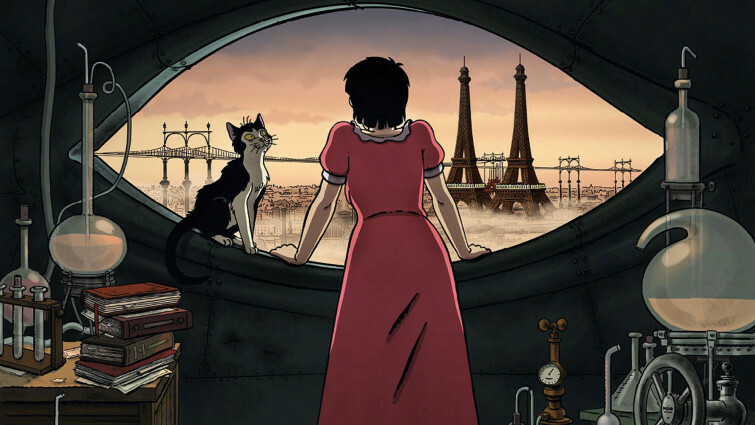 In a smoggy steam-powered Paris, young scientist April is trying to finish her parents’ project to invent an invincibility serum. 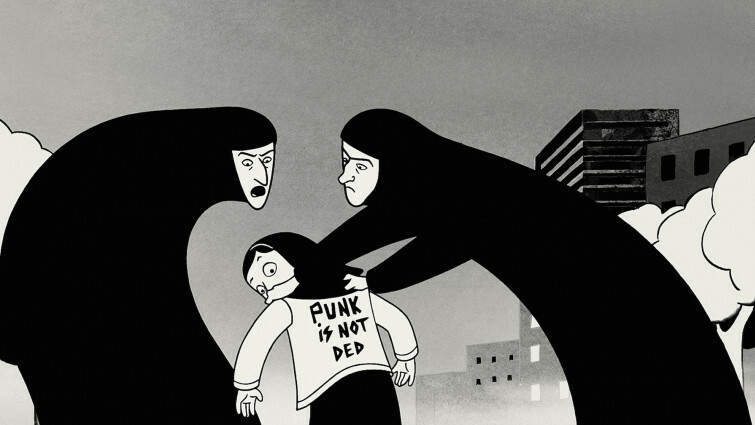 Miyasaki’s influence can be felt in this French animated fantasy, inspired by the work of comic book artist Jacques Tardi. With a focus on history, technology and science, and a wonderful young heroine at its centre, this is one of the richest animations of recent years. A poignant, heartfelt anime about a young girl with a hearing impairment who moves to a new school and is bullied by her classmates. Recently, Japanese manga films have broken through to become commercial hits in the UK, rather than simply cult curiousities. This is one of the stronger films released, a critically acclaimed teen drama that truly understands its audience. 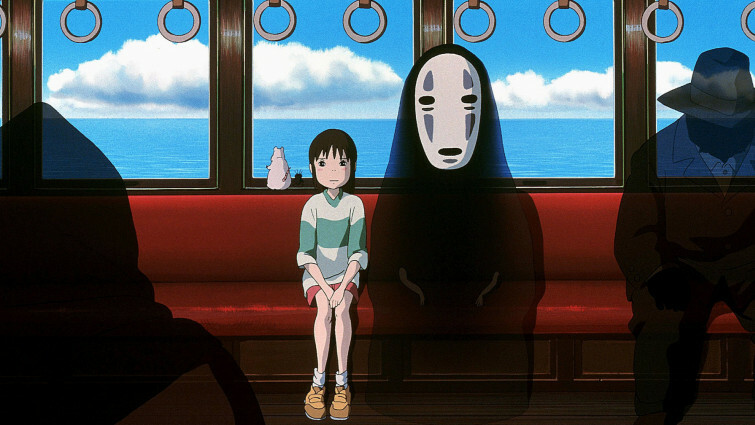 The animation style makes a fascinating contrast with that of Studio Ghibli. Beloved British animator Raymond Briggs has been responsible for some of the most timeless animated stories of our time, most notably The Snowman. Here, he turns his attention to his parents, documenting their lives as they go through the enormous changes of the 20th century, their story told with warmth, wit and poignancy.